Apple's rumored to be dropping its next iPhone September 10. Sure, year two of an iPhone design cycle typically means an incrementally improved upon device, but it could be a bigger launch than anticipated—and not just because of the rumored iPhone 5c. The flagship iPhone should see some significant updates as well. Here's everything we think we know so far. This phone will most likely go by iPhone 5S. How do we know? Precedent! After the iPhone 3G, we graduated to the 3GS, which was a slight improvement that retained the same overall design. Then came the entirely new design of the iPhone 4, followed by the very similar 4S. Apple had the chance last year to ditch the numbers altogether (a plain ol' "iPhone" makes sense at this point), but since we got the the iPhone 5, you'd better believe the 5S is on its way. If Apple sticks to past upgrade habits of sticking to the same basic shape for two cycles (you know, 3G/3GS, 4/4S), this phone will look pretty much the same as the iPhone 5. This has been backed up over the past several months by some leaked parts that show an almost identical form, with better internals and minor tweaks. This is the stuff that's pretty much standard with a phone reboot. What can we expect here? Most likely a faster A7 processor, an improved camera with dual LED flash. The iPhone 5 uses single LED flash, but the 5S will reportedly get a second flash to help offset discoloration in photos and improve pictures taken in lower light. Some sources claim the two flashes will be different colors to give images a more natural feel. What else? Hopefully you can start leaving that lightning cord at home, because we're betting on a battery that's better than the iPhone 5's power-sucking monster. One of the key changes as far as hardware is concerned is a rumored biometric fingerprint reader for security. Apple acquired a company called Authentec that specializes in this exact technology about a year ago, and code tipping off a strong possibility of this feature showed up last month in an iOS 7 beta. Cobble that evidence with some apparent leaked images that appear to be iPhone 5S internal components that have plenty of room for a fingerprint scanner, and you've got a pretty compelling case. Compared to the iPhone 5, these rumored 5S parts have a redesigned home button with a curious new cutout in the section next to it. So if the fingerprint scanner is real, what does it mean for you? No more typing in a four-digit PIN, because your fingers are your passwords. And your iPhone, overall, could be a lot more secure when it comes to mobile payments and other secured services. According to the Wall Street Journal, Apple is testing larger screens for both iPhone and iPads, responding to device's like Samsung's Galaxy Note. The details are thin, and could well happen down the road, but doesn't seem to be likely for this round. Additionally, the iPhone 5S might get an 128GB model. Take that one with an extra-large grain of salt, because this rumor is only according to analyst speculation, and Apple's busy pushing everyone to iCloud instead of onboard storage as much as possible. However, it's another case where we can use the past as somewhat of a crystal ball. Apple introduced a 128GB iPad back in January, so it's possible, but not certain, it'll do the same for the iPhone. Not that anyone needs a 128GB iPhone. Update: Fox's Clayton Morris is reporting that the A7 chip that will likely power the iPhone 5S will be 31% faster than the 5's A6 processor. There's not much concrete info to go on here, but Morris has had a fair amount of luck with Apple rumors in the past, and a faster processor is probably a safe bet. Update 2: French Apple blog Nowhereelse.fr has posted some images that supposedly reveal a new home button and fingerprint sensor. We've seen several other purported fingerprint sensors floating around this cycle, and we're a tad skeptical. However, Nowhereelse claims the serial numbers on these components suggest the piece is actually a part of the iPhone 5S. Update 3: Several recent reports claim that the next iPhone will come with a silver ring around the home button. These renders from Martin Hajek show what that might look like. Update 4: Nowhereelse.fr says the iPhone 5S will come with a fancy new home button in the form of a "Touch ID" sensor, according to the "official illustrated guide to the iPhone 5S." There's no way of telling whether or not this guide is the real deal, but Touch ID is a suspiciously Apple-sounding name, and this rumor seems to support the earlier reports of the silver ring around the home button. Purported iPhone 5S Guide Shows Home Button With "Touch ID Sensor"
This one's a freebie—a new iPhone means a new operating system, so what's up with iOS 7? The OS has been completely and beautifully revamped with a flat, minimalist design. It's better in every way, with different fonts, color schemes, and icons. It has more 3D, layered depth and translucency, so you can focus better on what you're working on. Hey, Apple even finally centered the number 1 in iOS 7's calendar. iOS 7 also has a brand new Control Center that you can access by swiping from the bottom to access essential apps like camera, calendar, and so on. Apple's also improved upon the layout of the Notification Center, which organizes notifications into today, all, and missed. Multitasking works for every app in iOS 7—you can browse through every app that's live by simply swiping through icons that look like cards. Siri now has a man's voice too, if you're into that, and has been generally improved upon. Safari has also been updated, as have the camera and photo apps, and AirDrop is now available on iOS. We really like what we've seen from iOS 7 thus far, and we'll certainly see even more improvements when the final, polished version drops next month. Apparently, several Apple blogs have gotten their hands on images of gold (or possibly champagne colored) iPhone housings. And since then, there has been anywhere between a trickle and a steady flood of rumors that Apple is coming out with a gold iPhone. Gold might seem like a huge departure from Apple's typical hard line on black and white gadgets, but look at what Apple did with old iMacs and its multiple hues of iPod nanos. And if it still seems like a weird choice for Apple, it might make more sense in the context of Apple's relationship with China. Apple has enjoyed huge successes in the country in the past couple of years, but that influence has dwindled slightly as of late. What could reverse that fate? A gold iPhone, especially considering how well black and white iPhones have sold in the country. Black and white are not popular choices in China. Gold, however, is quite the opposite, and it's just the thing to get people frantically interested in Apple in China in a big way. Update: The latest rumor via Apple watcher Sonny Dickson is that the iPhone 5S will not only come in black, white, and gold, but also graphite. In theory, it sounds quite nice, but it doesn't look great in the purported leaked photos. This one comes out of nowhere, so it seems less likely to be true. Based off of past launches, the next iPhone will probably cost the same as its predecessors. That's $200 for a 16GB model, $300 for 32GB, and $400 for 64GB with a two-year contract. Apple has been consistent in this department, so pricing is a pretty safe bet. We might be saying sayonara to the iPhone 5 come September 10. Why? Because rumor has it, that budget iPhone we're fairly sure Apple is going to reveal is apparently going to become Apple's entry-level smartphone. However, that doesn't mean the iPhone 4S is necessarily going away—Apple reportedly won't phase that out because it wants to continue to support 30-pin connector devices for a while longer. AllThingsD is reporting that Apple will hold an iPhone event on September 10. But that doesn't mean you'll get a new Apple phone that very day—there's still some wait time. Preorders typically start the Friday after an event, and the phones will ship the next Friday. 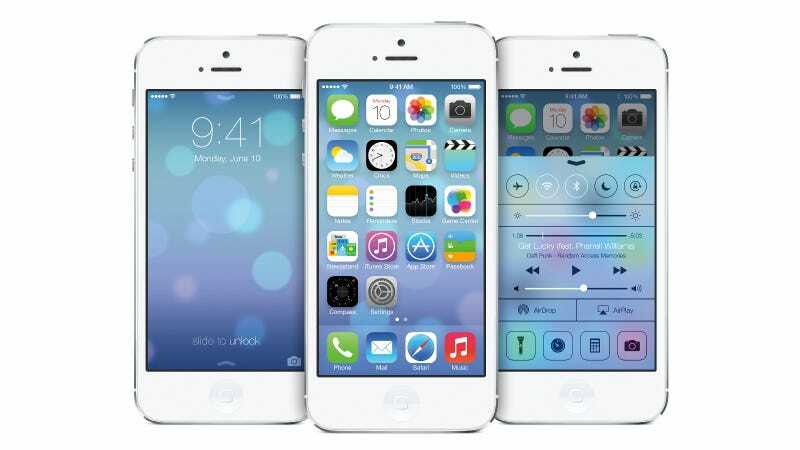 So you could have a shiny new iPhone 5S in your hands by Sept. 20. At least that's what we think. We'll know for sure in just a few short weeks. Update: Invites are out. It's official—Apple will announce the next iPhone on Tuesday, September 10.